Home > Skydivers decorated their own Christmas tree! Skydivers decorated their own Christmas tree! Yes, Christmas is wonderful and merry, but the extreme sports thrill-seekers will always look for ways to give Christmas a hint of extreme too. So did the group of skydivers in the photos below. 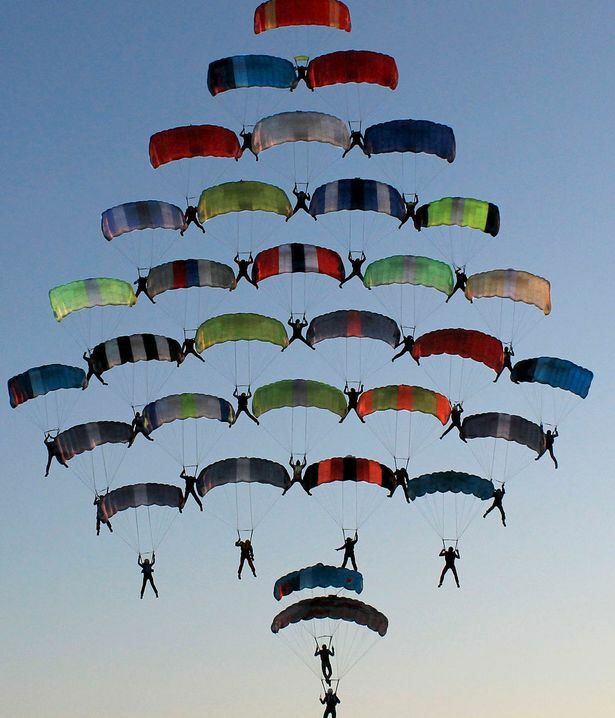 The skydivers got together and decorated their own Christmas tree, jumping off a plane. Jumping off two planes to be accurate! Jumping off the planes, the skydivers where then split in two groups before putting together their Christmas tree formation. 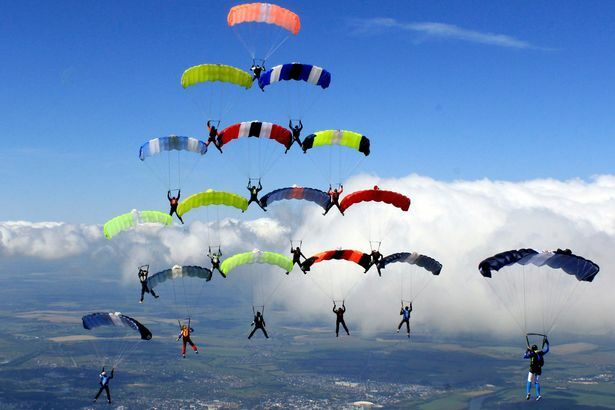 The skydivers gave the sky a festive twist in an attempt to break the Russian National Canopy Formation of 2013. It took approximately 10 minutes to complete and perfect the festive formation but the tree-mendous result totally worth it. 19-year old Vitaly Dodonov carried his camera with him and captured this experience while floating on air. The photos are amazing! Vitaly has been skydiving since he was 13 and has now about 800 jumps in his pocket. 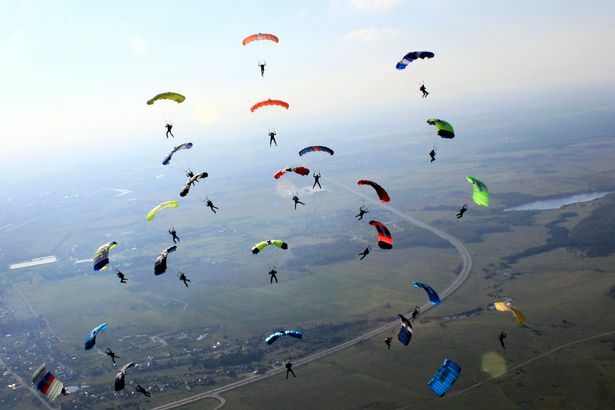 He confessed that this was an amazing sight to see “because it doesn’t happen every day, even in skydiving circles”.